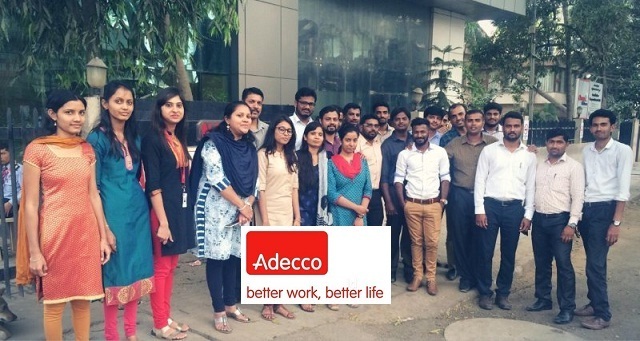 Adecco India Company Career Jobs Opening 2018-2019 Various Research Analyst Job Posts Download Application at www.adecco.co.in Adecco India Career Job has Recently Announced 2018 regarding International Voice Process & Various Job Openings Interested and Eligible Candidates can Download Application Through Official website. Walk-in Drive Adecco India Research Analyst @ Chennai - Apply Now. Salary: Rs: 1,50,000 - 2,00,000 P.A. Candidate should have good fluent communication skill in english. Morning shift is currently opening. Female and male also applied. Freshers are mostly applied for it. Any year passout students also applied. Good communication is much more important as a mandatory. Above Buhari Hotel, Chennai - 600 017."